A community of professionals working to promote health, encourage professional and personal development, and provide a range of mentorship, educational and charitable programs that make a difference. AMWA can make a real difference for you through our programs and services — AND AMWA membership saves you money! Our Resident Membership Resources focus on financial and overall wellness, gender equity during training, and guidance during the transitions from medical school to residency and from residency/fellowship into your early attending career including exclusive webinars on topics such as wellness, advocacy, and job searching. Sign in to learn more and access our members-only webinars and resources! Discounts on AMWA-sponsored meetings, conferences, seminars, online continuing education. Blue Sky Scrubs: AMWA members receive 15% off any online order; to view our promotional code, sign in now with your AMWA username. Free access to the Canopy Medical Translator app for iOS, a revolutionary technology which enables instant communication with patients in any language. To get the app, click here or search for “canopy” on the App Store and then sign in with you AMWA username to view the AMWA discount. Watch the introductory video. A free trial of Canopy Medical Spanish Training Platform, and special member pricing if you choose to purchase the entire program. To learn more click here. Learn Medical Spanish for the first time or improve your proficiency. Includes certificate of completion and CME credits. Created for busy healthcare providers to improve their Medical Spanish at their own pace. Special pricing for the NCBHP Medical Spanish Certification Exam for already bilingual healthcare providers, found here. If you can work with Spanish-speaking patients, use this to certify and document your skill. Jaanuu is the fashionably innovative scrub design company that never sacrifices style for comfort and fit. We partnered with Jaanuu to provide you a 25% discount! Please sign in with your AMWA username to view the discount code here. Kaplan: Step 3 recently changed. Stay on top with Kaplan’s new QBank. AMWA members receive 10% off select Kaplan courses. To enroll or for more information, call Kaplan at 1-800-KAP-TEST or click here. Please sign in with your AMWA username to view the discount code here. McGraw Hill: All AMWA members now receive 30% off select McGraw Hill titles! Sign in with your AMWA username to view the discount code! Medelita: AMWA members receive 15% off Medelita’s professional lab coats and performance scrubs. Medelita’s unique lab coats are fluid resistant, featuring Advanced Dual Action Teflon®. MedStudy — Study smarter, not harder, with MedStudy. For over 25 years, MedStudy has been a leader in providing innovative study solutions for pediatrics and internal medicine residents. MedStudy delivers content in an accessible, conversational way, focusing on learning and saving overall study time. Our integrated system is founded on evidence-based study techniques that help you learn and remember essential board-focused knowledge. Our materials can be used by residents in every year as a to-the-point medical reference, as a study guide for residents preparing to take their initial certifications or as a resource to help you to maintain competency throughout your residency. Our partnership with AMWA will provide you, as an AMWA member, with an exclusive discount on the resources you need to feel confident in your knowledge and patient care plans. Please login to access the full member discount information and link. Pocket Medicine Discount: AMWA members receive 30% off of Pocket Medicine when ordered with the AMWA discount code through the Lippincott Website. SoFi — At AMWA, we appreciate that many of our recent grads and parents of current students have significant amounts of student loan debt. SoFi offers student loan refinancing, allowing you to refinance your existing private and federal loans and save thousands. Please login to access the full member discount information and link. TrueLearn — AMWA Members Receive 10% Off Any New TrueLearn SmartBank — 3 Months Or Longer. Please login to access the full member discount information and link. University at Sea — For each CME meeting booked, AMWA members receive a $75 discount and a $25 donation is given to AMWA. For general travel other than CME (excluding airfare), AMWA members receive a 3% discount and with a 2% donation to AMWA. Please login to access the full member discount information and link. 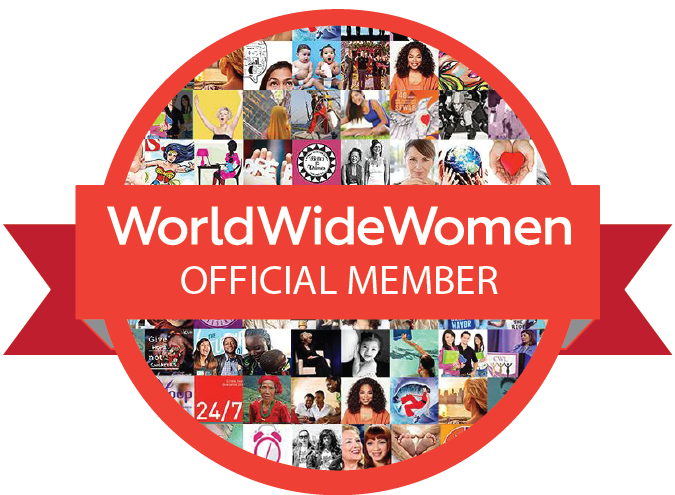 MWIA Membership: Automatic Medical Women’s International Association membership. The MWIA is an association of medical women representing women doctors from five continents, actively working against gender related inequalities in the medical profession. Networking opportunities and access to the unique knowledge and experiences of other female physicians through the Charlotte Edwards Maguire MD mentorship database program.